In yesterday’s blog, I wrote about how comedian Jay Islaam’s cunning stunt at the Edinburgh Fringe went slightly wrong. Publicising his Racist Joke Show led to it being cancelled. Flyering is an overlooked vital art at the Fringe. 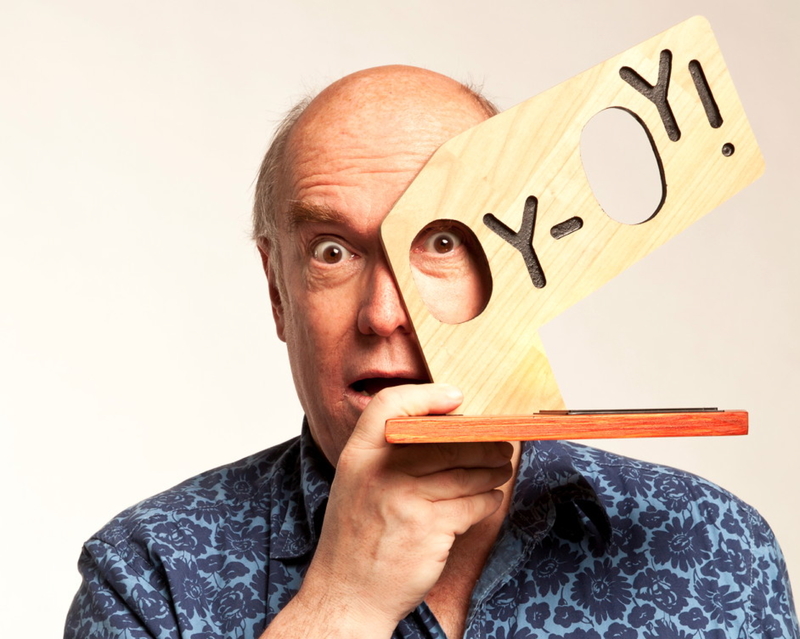 This year, two of the three nominees for the increasingly prestigious Malcolm Hardee Comedy Awards are for flyering stunts. Meanwhile I am still looking for plagues of locusts on the horizon. Their scouts have been steadily arriving. Yesterday afternoon, I lost a third sound techie for the increasingly prestigious Malcolm Hardee Comedy Awards Show. “To lose ONE sound techie…” as Oscar Wilde might have said if he had ever played the Edinburgh Fringe in August. Which is fine – although a sign that not just swarms of locusts but plagues of frogs may be imminent. Also leading on from yesterday’s blog, I got another e-mail from my farter chum Mr Methane. Yesterday, he shared a message he received from an advertising agency encouraging him to take out an ad in the online version of the Daily Mail – which has a readership surely not known for their love of speciality fart acts. They are more into Michael McIntyre, a very fine act whom I much admire but who is not known for farting darts from his bottom at balloons attached to people’s heads. Yesterday, Mr Methane got another e-mail from the unrelenting advertising agency Web Windows. 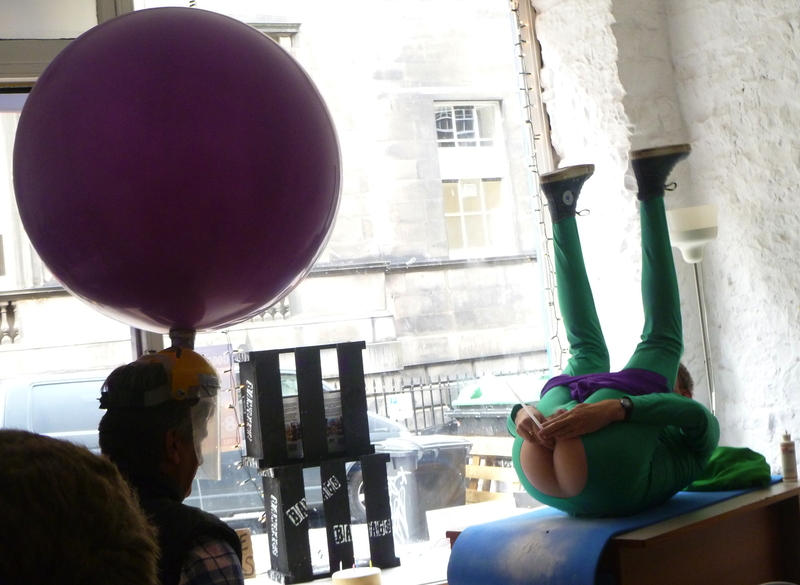 Mr Methane farts a dart at a balloon on a worried man’s head. 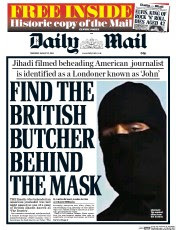 Is this what Daily Mail readers want to see over their teacake? I hope you don’t mind me getting in touch again, but I emailed yesterday about a special offer for a banner ad: One month Daily Mail banner campaign just £480. Did you get a moment to have a look? I’m around for most of the day, so let me know if it’s of interest – I might even be able to sweeten the deal! Meanwhile, back at the Edinburgh Fringe, I still have slight toothache… Kate Copstick still has her arm in a sling, going “Owww!” if she moves it too much… and comedy actor Brian Simpson, appearing out of his stage persona, was seen in the exclusive Underbelly Abattoir VIP area sitting in an armchair, wearing a silk smoking jacket and puffing on an electronic cigarette like some latter-day Noël Coward. Your blog is sometimes a hoot. Today it was a poop!